The Bristol Beaufighter was designed and built in England as a development of the Beaufort bomber, and initially saw service as a night fighter. English built aircraft were delivered to the RAAF for service in the Pacific with No. 22, 30, 31 and 93 Squadrons operating this variant. 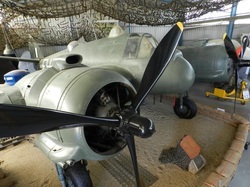 In Australia the Department of Aircraft Production was in the process of producing the Beaufort bomber and in 1944 the manufacture of the Beaufighter began as a follow on project. Design changes included revised armament and a dihedral tailplane, and between September 1944 and 1946, 365 Australian Beaufighter Mk 21’s were built. Powerfully armed, fast at low level and very quiet in flight, the Beaufighter earned a grim nickname from the Japanese, who called it “Whispering Death”. Symbolically, our aircraft was built on the day the Pacific War ended, and saw extensive post war use as a target tug. It was retired in 1956 and given to the Lord Mayor’s Children’s camp at Portsea. In 1962 it became the first aircraft donated to the museum. The aircraft in our collection is dedicated as a memorial to No 31 Squadron. It is one of only 6 complete examples surviving worldwide, and one of only two complete Australian made examples. 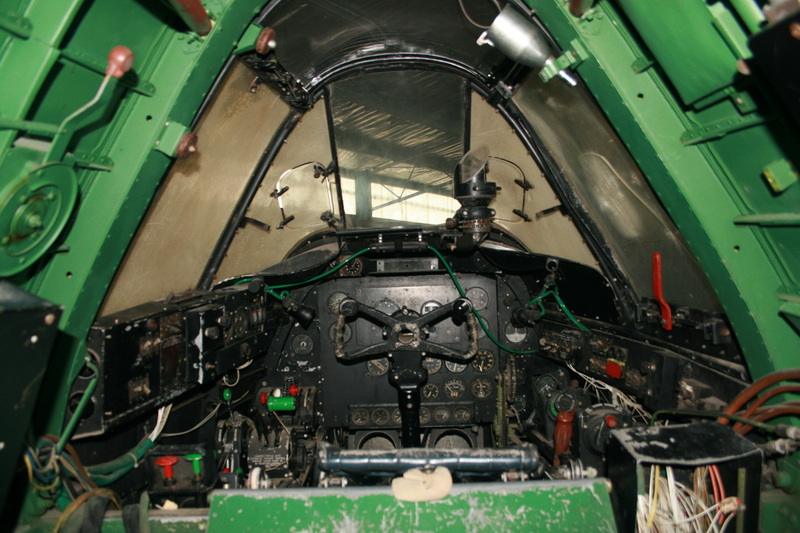 As of the end of 2013 it is also the only Beaufighter in the world capable of ground running an engine.